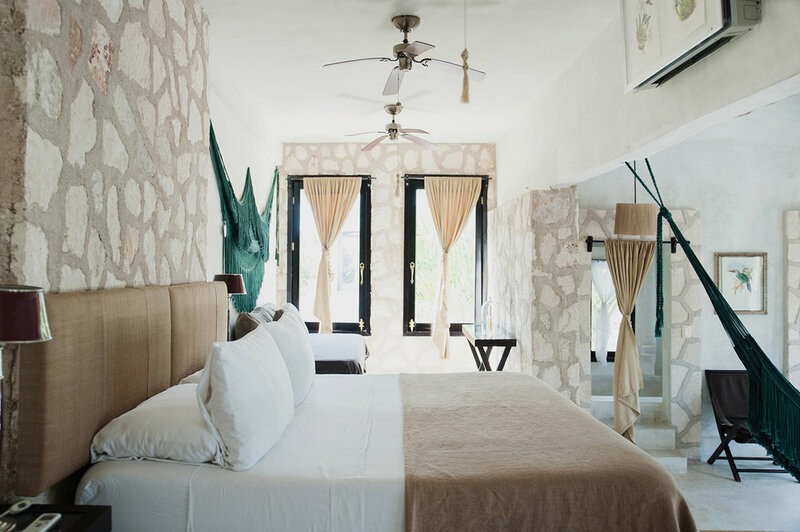 There are 4 rooms, including 2 larger King Palapa Suites that sit atop the tower, enjoying private terraces, an outdoor eating area, king size bed, a deep cement-cast tub and incredible views of the stunning lagoon. 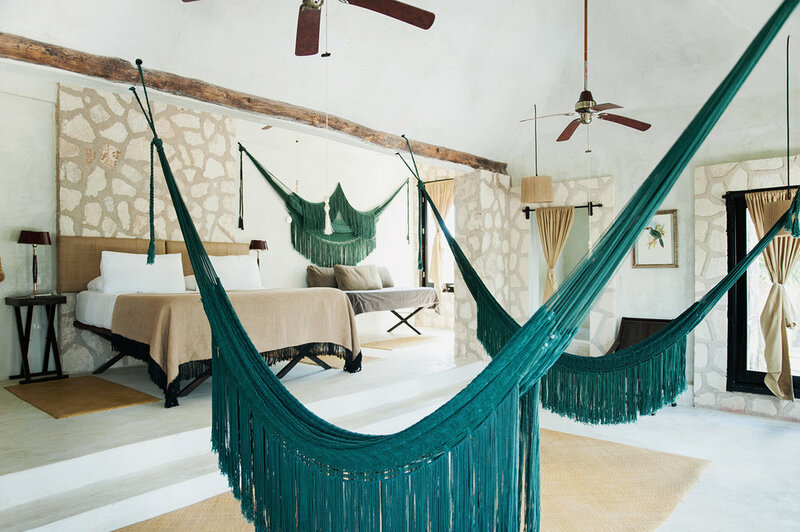 The guestrooms are minimal yet elegant, and feature natural materials and neutral tones, scattered with old maps, botanical drawings and archeological photos with a comfy hammock to complete the cool jungle vibe. The natural focus continues at the spa, which uses locally gathered ingredients for treatments like the papaya body scrub or a soothing post-sun facial of cucumber, yogurt, honey and aloe. And if you’re looking to stay fit, private yoga and Pilates classes are also available, or curl up in the library lounge with one of the 100 books from the founder's original collection. Meals are served in the restaurant on the ground floor, with tables both indoors and outdoors. The fusion food encompasses Mexican, Argentinean and Italian influences using ingredients sourced from the property's organic garden and fish pond. Sample dishes include chicken with lemongrass and rosemary, and tilapia with marmalade. Light lunches such as ceviche and salad, with tortilla chips and home-made guacamole and pio de gallo, are offered; breakfasts are typically Mexican, with eggs and beans, washed down with French-press organic coffee or freshly squeezed juices. The lounge area is perfect for an afternoon snack and catching the cool breeze, or better yet, one of their famous cocktails while you take in the sunset. Each night, they prepare a bonfire for guests to enjoy from one of the comfy loungers that face the lagoon - it's the perfect way to end a day of exploring the ruins and dipping in the cool plunge pools. Fly into Cancún International Airport (www.cancun-airport.com), which is just under a two-hour drive from the hotel. 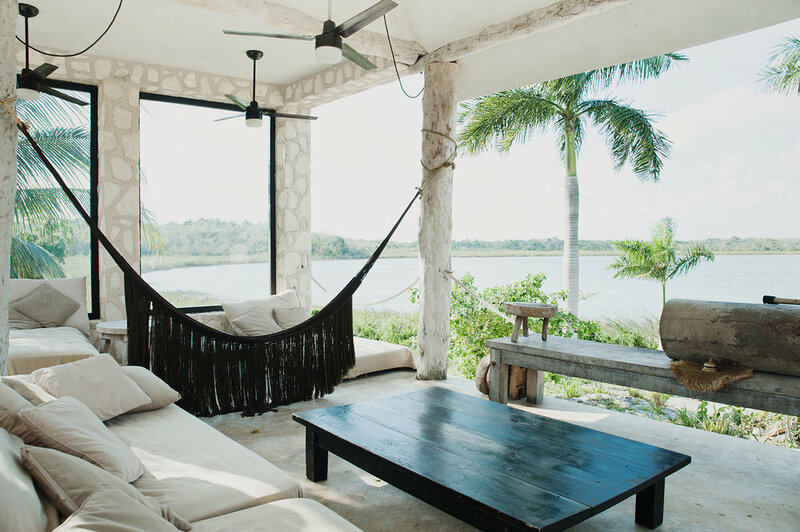 Valladolid and Tulum are about 40 minutes away by car. Rooms start at $210. Children are welcome, cots are available upon request at an additional cost. 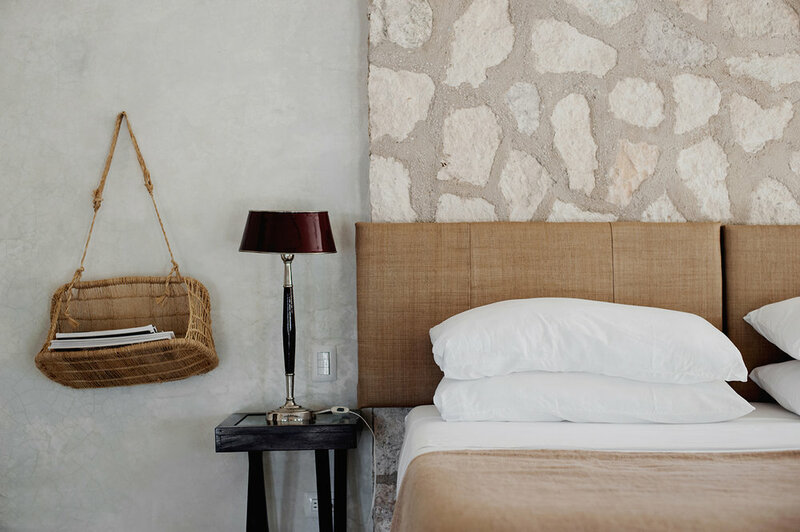 Common with its sister hotels, Coqui Coqui Coba lacks most mod cons, including TVs, so prepare to unplug and reconnect. Dogs are welcome (deposit is required). 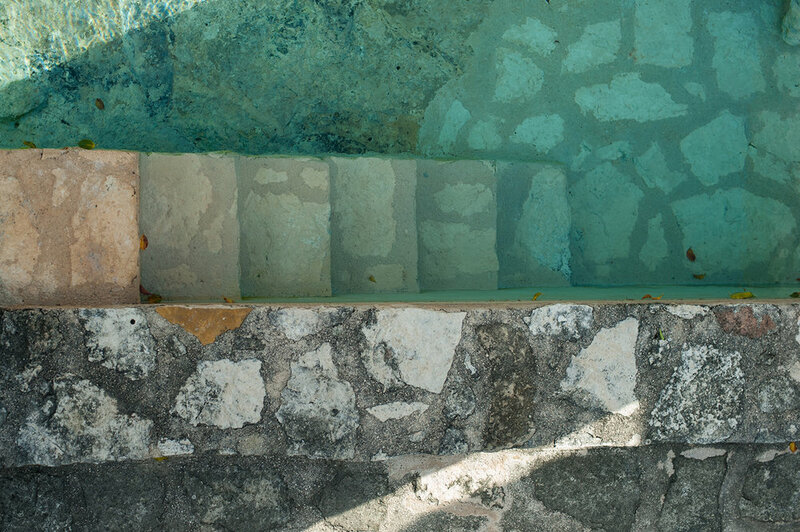 Due to the natural environment at Coqui Coqui Coba, guests should be comfortable outdoors and be able to navigate uneven ground and multiple stairs. 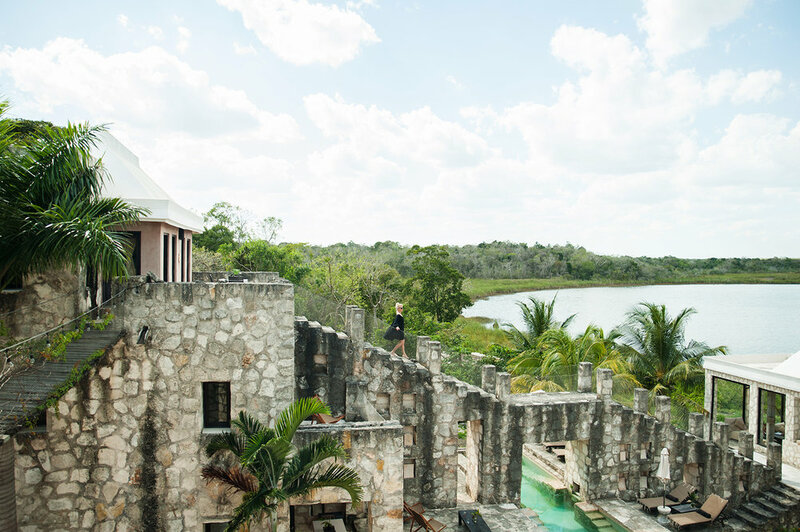 The pre-Columbian Coba ruins are on your doorstep – and with such close proximity, you have the advantage of getting there before anyone else! Aside from the ruins, there’s not a lot to do in Coba itself – the small village houses the local guides and their families, as well as some smaller shops and restaurants. To glimpse authentic Mexicana, drive to Valladolid, a lively, colourful town. 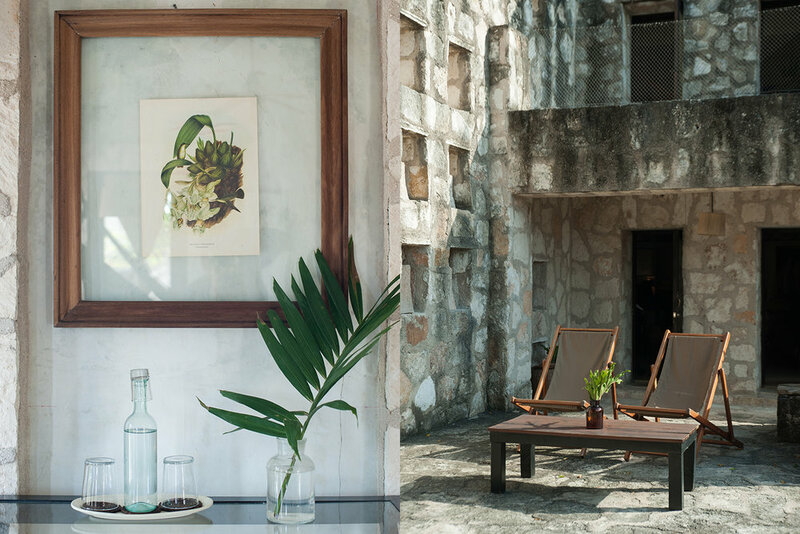 On the same street as a sister property, Coqui Coqui Valladolid, is a series of boutiques worth visting, as well as an art gallery at Casa de los Venados, a restored hacienda on Calle 40. For mid-day dips, Cenote Zaci in the centre of town should be on your radar. Head to the Cenotes Choo Ha, Tamcach Ha and Multum Ha, which are three limestone sinkholes that form part of a vast underground river beneath the Yucatan Peninsula, and the crystal-clear waters are a fine tonic after a day in the hot, steamy jungle. Feeling beachy? 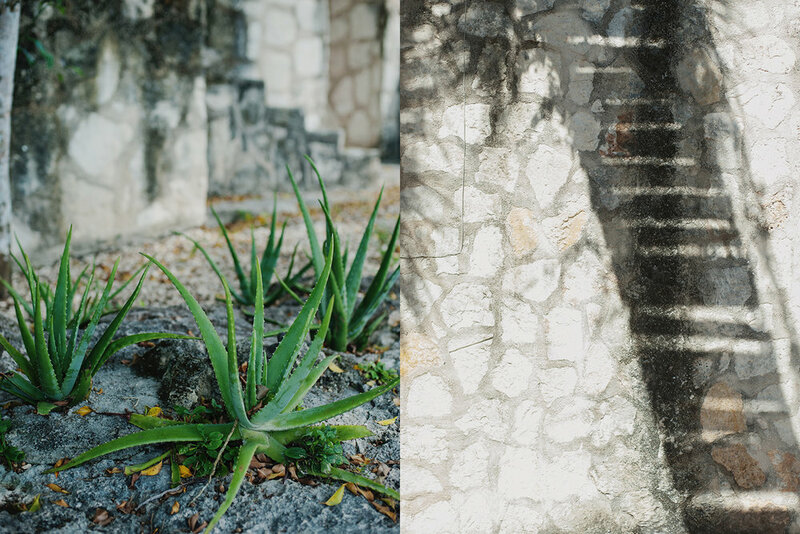 Tulum is a 40 minute drive and has a plethora of boutiques and restaurants to explore. A dining favorite is Hartwood, an alfresco hot spot that serves mouthwatering dishes from its wood-fired hearth. The menu changes daily and includes the best of the local farmers markets and fishermen’s catches. *instead of seeing the sites, we decided to park our rental car for the duration of our stay and enjoyed an incredible getaway with fantastic meals. Why go anywhere else when everything you need is right there?